This is book is for anyone who has ever tried to match wits with a computer in chess, bridge, or any other game requiring long-range strategy and studied decisions. If you're not a pro, chances are you've been defeated by a machine - and impressed at its uncanny ability to outmaneuver humans. In Computer Gamesmanship, David Levy, an International Chess Master and producer of intelligent computer games, unravels the mysteries of how computers successfully mimic strategic thinking and play complex games. In jargon-free language, Levy describes the important principles and techniques applicable to any game of strategy-such as decision trees, alpha-beta algorithms, minimax searches, and evaluation functions-and explains how even highly advanced strategies can be reduced to relatively simple procedures that a home computer can perform. He then illustrates and elaborates upon them in extensive discussions of the most popular and successful programs for chess, bridge, poker, Go, Othello, and many others. Computer Gamesmanship is a unique introduction and insider's guide to the most challenging games you can play, or create, on your computer. 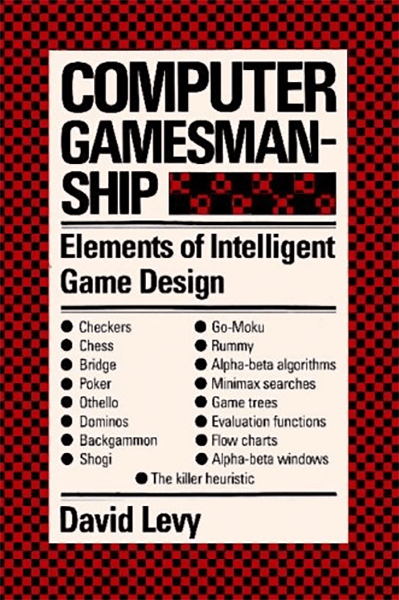 "This is a simply written and serious little book about how computers go about playing games.... (Computer Gamesmanship] leaves the reader with a sense of admiration for the stratagems of computer programmers." About the Author(s)David Levy is one of the world's leading authorities on computer chess and is author of Chess and Computers, More Chess and Computers and the Chess Computer Handbook. He is an International Master of the World Chess Federation and President of the International Computer Chess Association. David Levy's earlier introduction to computer chess was well-received by reviewers.